For its lover out there, Nokia had come with the latest Nokia 1 smartphone, with the latest Go Edition of Oreo. But, what is Android Go! 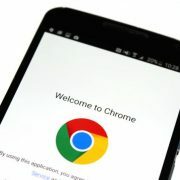 Android Go is a new edition of Android by Google, which come Google apps and third-party apps, which are less heavy, and less resource consuming, compared to that of the normal version of those apps. 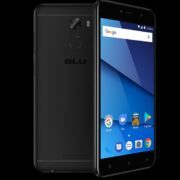 Such a benediction will be suitable for smartphone users struggling with a low budget, and a smartphone with budget hardware. 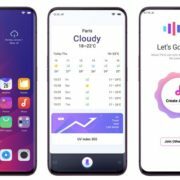 Nokia is the first reputed company to bring the first Android Go smartphone after the Lava Z50, and if you are a real Nokia fan, now you got another reason to support Nokia, more than before. But, is Nokia 1 the best smartphone for you! What I mean to say is, should you go for Nokia 1, if you can spare Rs. 6,000! Nokia 1 has been released more than one month ago, but just a few days ago, it is also released in India, and thus, you might or might not buy it. If you are really a Nokia fan and want to pay million dollars for the Nokia branding, this article is not for you. There is no doubt, Android Go phones are budget-friendly, but let’s break down Nokia 1 into different categories, and find out, where it rocks, and where it doesn’t. Let’s first have a look at the display and the body. Nokia 1 is among those Android Go devices, which come with a 4.5 Inch IPS LCD display, with a screen resolution of 480×854 pixels, and thus, the PPI stands to 218, which is not that appealing. The true dimensions of the Nokia 1 is, 133.6 x 67. 8 x 9.5 mm (length x breadth x width). When going bezel-less is the trend of 2018, the Nokia 1, come with bezels all around, and thus, the screen to body ration is almost 61.6%, though that is acceptable, keeping the price in mind. It is going to be a great daily use smartphone for its size, which eventually makes it easier to hold in hands. The Redmi 5A, come at the same price, and it comes with a 5-inch display, which I think, is way better if you just can adjust yourself to the absence of Nokia branding. Moving on to the software and SoC, the Nokia 1 comes with just 1 GB of RAM, and a MediaTek MT6737M SoC clocked at 1.1 GHz, which is a quad-core processor, based on the Cortex-A53 architecture. As I already said, it comes with Android 8.0 Oreo Go edition, and thus, what I expect is, you will not need to struggle with apps, squeezing upon your resources and battery. As far as the SoC is concerned, I am never happy with MediaTek SoCs, which is a big turn down in Nokia 1, from my point of view. Nokia could have used Snapdragon 400 series SoCs, at this price range, which could have given better performance even with Android Go apps. I am sure, Nokia 1 would have rocked with Snapdragon 425, or 430, at least. 1 GB of RAM is too low nowadays, though, I think, the Android Go apps can manage that handful of space pretty well. Well, I am optimistic about that, as it is only with that promise, Android Go apps are made. Presently all the Android Go apps, are available only from Google. Though in future, other developers will definitely develop Android Go apps, but that is a matter of time. If you work with 3rd party apps, you might have to struggle with same problems, as they cannot optimize themselves for Android Go platforms, right now. I am sure most people use WhatsApp on their everyday use smartphones, but the favorite WhatsApp Go is still not available. The Nokia 1 comes with a 5 MP rear facing the camera with LED flash, and a 2 MP front camera, with video recording up to 480p. That is, as well, a big disappointment for me. Having a 5 MP primary camera for an everyday smartphone is quite acceptable, but not for smartphones priced at Rs. 6,000, in today’s market. 480p recording! Who record 480p videos nowadays! The Redmi 5A, which come at the same price, comes with support for 1080p video recording. If you say, you only want phones from reputed brands, you can pay around Rs. 500 extra, and get Samsung Galaxy J2, which even come with 720p recording. The Nokia 1 comes with 8 GB of internal storage, and you can expand it up to 128 GB, with the help of an SD card. But the disappointing factor is, Nokia 1 has a hybrid SIM slot, which means, you can use, either one SIM and SD card, or two SIM cards. If Nokia 1 was a smartphone meant for gaming or some special purpose, that was acceptable. It is yet another big disappointment for me. It is meant for everyday use. Having a single SIM is not at all acceptable when most people want to have different SIM for home and office use. On the other hand, using 2 SIM card will close the door for an SD card, which means, if you are fond of listening to songs, while on the go, and that too, the songs from your local storage, you might have to bid goodbye to that habit. The Nokia 1 comes with a 2150 mAh battery, which can be enough for 1 day, as it comes with less resource consuming Android Go software. The 2150 mAh, can provide talk time up to 9 hours in 3G, and can also give 360 hours standby on 3G, which is not that bad. It comes with A-GPS, which is good, as well, and will be handy for navigation. Nokia 1 comes with a headphone jack, and Micro USB jack, and thus, No! Nokia hasn’t removed the 3.5 mm jack, following the trend. You can’t expect Type C, at this price. If you are smart enough, you have already taken your decision on, whether to purchase Nokia 1 or not. If you are still in a dilemma, I personally will not recommend you to go for Nokia 1. But, yes, if you are looking for a smartphone from an old brand, whom you can count upon, Nokia 1 is by far the only option for you. I have used several Nokia handsets, and Nokia offered a truly great service, and I am sure, Nokia will keep it up. I wish it came with at least a Snapdragon entry level processor, for an even better performance. 16 GB storage is the requirement of most users, and I wish, Nokia fulfilled the requirements of those users. I am not complaining about the 5 MP, but I wish, Nokia 1 had the support for 720p video recording. Last but not the least, I wish Nokia 1 came with dual SIM support, with a dedicated port for an external SD card. Nokia 1 could have been the best smartphone, at this price range, with these minor improvements. 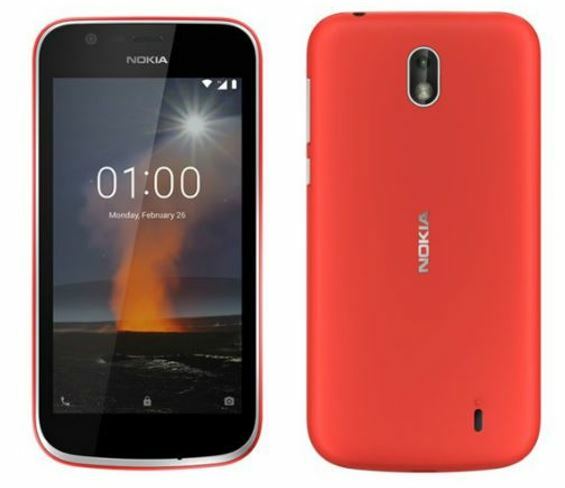 Nokia 1- Value for money? Most people, who are looking for value for money smartphone, I am sorry to say, Nokia 1 is not one among them. No doubt, Nokia 1 is a budget-friendly smartphone, but it is not value for money, keeping an eye on the other products, available in the market, at this price range. But, if you are really a Nokia fanboy, and want to taste the new Nokia Go, go for Nokia 1, and you will not regret it, only if you want to use it as your daily driver. Hope this small article about Nokia 1 was informative to you. Do you have more questions regarding Nokia 1? Comment it down below, and give me a scope to solve your queries.